Sharad Poonam OR Kojagiri Purnima is the last full moon night in Gujarati calendar based on Vikram era. This year it falls on October 5, 2017. Constellation and seasons are closely associated with human life. On Sharad Poonam, moon is nearer to the earth and therefore, it looks brighter and larger than it would look on any other full moon night. It is believed that moon showers elixir through its rays on earth, and this makes the night delightful and fills pleasure in our life. The rays of moon impart medicinal qualities in the herbs of earth. Similarly, people enjoy milk and rice flakes after offering the same to moon as this satellite of earth fills the dish with its essence. The nutrition of moon cools down Pitta in our body and gives us nourishment. 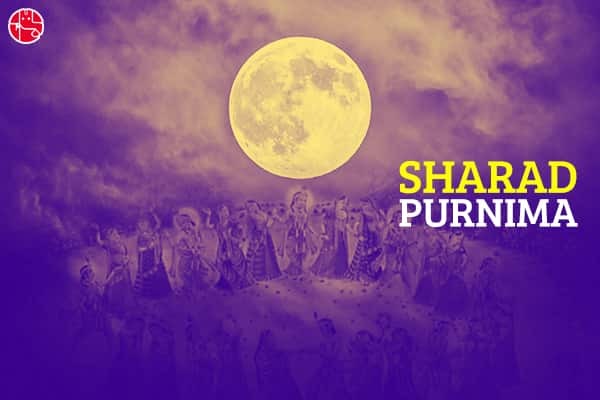 Sharad Poonam is also known as Kojaagari Purnima. On this day, people worship Goddess Laxmi and observe night vigil because Goddess Laxmi pays a visit on earth, and whoever is found awake, she blesses him with lot of gold and wealth. We need material success in life. This success depends upon our achievements in career. Do you want your career to get a boost? Is any doubt obstructing your growth? If yes, buy the Career Ask A Question Report and surge ahead in career. On the night of Sharad Poonam, Lord Krishna had invited Gopikas from Vraj to Vrindavan, on the bank of river Yamuna, and performed Raas-Leela with them. This is the perfect example of selfless devotion and immortal love. Following this tradition, people of Gujarat celebrate Sharad Poonam with Raas-Garba and fun fairs at different places. Buy the Shree Yantra and win the special blessings of the divine forces.